Sometimes when I'm in the same room with just one avatar with loads of particles and other effects on it, my fan starts getting really loud in the "whoa there, I can't even" kind of way. I just replaced the thermal paste of my GPU (with the good stuff) a few days ago after blowing all the dust off with compressed air, so it's certainly not a maintenance issue - I do have some knowledge on how to fix my computer. - What do you think is the ideal KBs? - How must do the effects have to do with lag / oveaheating? - And... do you think public rooms should be able to force a KB limit for it's guests? probably like i said above, lately products have been more detailed, especially effects of any kind, some are so heavy, they ask a lot of memory / cpu/gpu power. Playing with the advance settings in the client might help a bit. That would be nice, also will stop those annoying lag-trolls. way long ago I had a computer with similar symptoms , you can adjust your fan so it isn't always running and only whirs when necessary . ideal kb doesn't matter to me besides if they are a griefer out to lag others so unless its a room with a lot of people no limit. personally I keep mine around 1000 or under because a vast amount of users have slower pc/internets . . I guess you can kinda list as people do a kb limit and boot those who don't follow the suggestion . sorry I didn't provide much help here with stuff you probably already knew . I found out that our Browsers have a setting that has your Accelerate Hardware graphics automatically set to enabled. 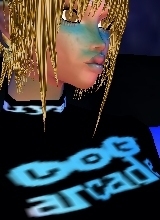 Even though it is on your Web Browser it still affects your hardware every time you come across any kind of graphics including IMVU. I have been telling people to look for this in their Browser settings and disable it so far it has worked for me and a few others but I am sure there are other issues with settings and cache as well. I think there is also a setting for it on the actual Operating system as well but I have not been able to locate it on mine. I hope this helps a tiny bit at least.